In The Theory of the Leisure Class, his first and best-known work, Thorstein Veblen challenges some of society's most cherished standards of behavior and, with devastating wit and satire, exposes the hollowness of many of our canons of taste, education, dress, and culture. 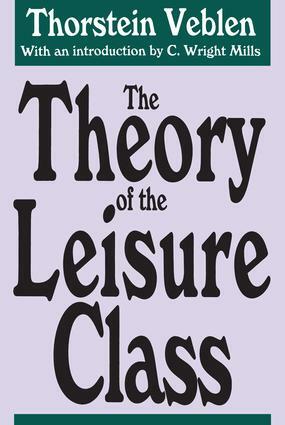 Veblen uses the leisure class as his example because it is this class that sets the standards followed by every level of society. The sign of membership in the leisure class is exemption from industrial toil and the mark of success is lavish expenditure—"conspicuous consumption" is the famous term he invented to describe somethings that satisfies no real need but is a mark of prestige. The process Veblen describes continues today, albeit in a more circuitous form.The Theory of the Leisure Class is part of an ongoing effort to make available the collected works of Veblen to a present-day audience of students and scholars.